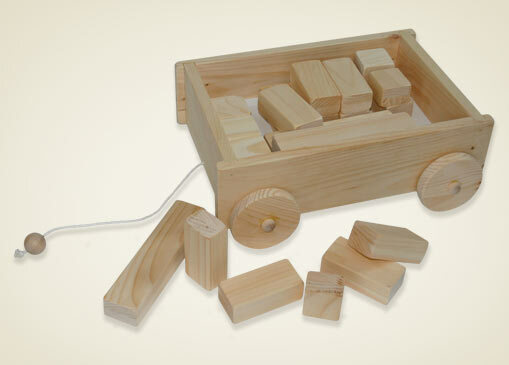 This durable start up kit provides the perfect tools for building both your child’s strength and imagination. The traditional wagon design stores easily under the bed for quick access to whatever your child dreams up next. Wagon comes with smaller blocks for smaller hands. 16" x 12.5" x 4.25"